WHY NOT - Easter Bunnies, Ribbon Bonnets and Baskets full of Colorful Eggs? What is "Easter" All About? Most people follow along as they have been taught, assuming that what they believe and do is correct. They take their beliefs for granted. Many people however, do not take the time to research their beliefs or figure out why they do the things that they do. Where did you get your beliefs from? Does the source of your religious beliefs and practices originate in the Holy Scripture, OR is it some other authority? If you say it is the Bible, how can you be absolutely sure? As we approach the end of the "Church Age", the "Body of Christ" needs to reflect on its modern practices and cultural traditions in a way that it is returning to a more pure degree of morality and righteousness. The way that we observe social customs and how we choose to participate in various secular activities and celebrations, directly effects the protective spiritual covering we receive from the sacrifice of Christ's blood, as well as how the Holy Spirit is able to directly indwell in our lives. It is a matter of fact however, that there is a pagan "Easter" that is nurtured by improper religious practices and is stimulated by Satanic influences through false teachings. As born again believers, we do not (or should not) observe "Easter" in the manner of pagan religions. The New Testament Church ("Body of Christ") should only be observing this time by teaching the Word of God concerning the resurrection of Christ and celebrating or engaging in festivities which primarily reflect this fact of our faith. 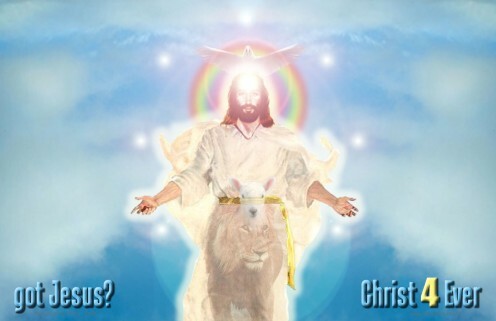 If Jesus Christ had not been resurrected, then none of these things really matters. But... because Christ is alive... He is ALL that matters! It would be the wisest choice for Christians to celebrate or observe a specific time that is set aside for these festivities. Likewise, it should consist primarily of the preaching and teaching of God's Word concerning the observance of the resurrection of Jesus Christ and His glory. In all truth and technically speaking however, this event is an every day celebration for Christians, as we serve a risen savior and Lord God! The word "Easter" is actually only found once in the Holy Bible (Acts 12:4 KJV) and just in the King James versions. The original Greek translation ("pascha") found in scripture is actually taken from the Hebrew term for "Passover" (“Pesach”). In fact, all the other translations of the Holy Bible use the word "Passover", which is what the Christian resurrection celebration was originally based upon. The translators of the King James version of the Bible (c.1611) did not make a mistake in this regard, as the term "Easter Sunday" was intentionally used to articulate a celebration of the resurrection of Christ during the Jewish feast of "Passover" and was in opposition to other pagan spring festivals that had been observed from before the time of the "Dark Ages" in medieval Europe. The earliest Christians observed the Passover Feast, not "Easter". As noted: “There is no indication of the observance of the Easter festival in the New Testament, or in the writings of the Apostolic Fathers... The first Christians continued to observe the Jewish festivals [God’s festivals of Leviticus 23], though in a new spirit, as commemorations of events which those festivals had foreshadowed. Thus the Passover, with a new conception added to it, of Christ as the true Paschal Lamb... continued to be observed” (Encyclopedia Britannica, 11th edit., Vol. 8, p. 828). Despite the evidence that God’s Holy Days as listed (Leviticus 23) were observed by the early Christian churches (Acts 2:1; 12:3; 20:6, 16; I Cor. 5:7-8; 16:8), not many who claim that they believe in the God of the Holy Bible choose to observe them today. Very few people, who profess to worship Jesus Christ as the Messiah and Son of God, properly observe the Passover Feast as He instructed and enjoyed with His disciples at the "Last Supper". To read more about the significance of "Passover" in biblical prophecy and its relevance in our Christian faith - SEE our other Article: The First Spring Festivals of the Lord - PASSOVER - UNLEAVENED BREAD and FIRSTFRUITS. Since an instruction to observe "Easter" is not to be found anywhere in the Holy Bible, and God’s instruction to honor the Passover Feast is (Exodus 12:14), then where did the current Christian "Easter" celebration originate from? After examining the origins of Passover, we are ready to study the true origins of "Easter". Most Christian celebrations and festivals were created by the early church to be directly in opposition of pagan religious festivals occurring at the same time of year, as to draw people away from the latter so they would participate in the Christian observance instead. In retrospect, this was probably NOT the best approach because many pagan customs and practices still managed to migrate over into the Christian observances as well. The vernal equinox for example, was the ancient time of rejoicing for the return of warmer days and for worshipping the goddess who had brought forth another growing season. The date on which "Easter" falls is also based upon the vernal equinox, and the yearly date is calculated such that the holiday falls on the first Sunday after the first full moon after the first day of spring. According to the Rev. Corey Sharpe, pastor of Hopewell United Methodist Church and Wesleyan Chapel UMC, “when Christianity (then the official religion of the Roman Empire) supplanted the pagan religions (as empires tend to do) as the dominant religion, they tended to incorporate some of the pagan beliefs into their own teachings. In this case, that would mean applying Christian meanings to the symbols of eggs with Christian meanings of resurrection and new life.” Of course Rev. Sharpe also notes, that there is a Christian origin for the word "Easter", as well. There was a Latin term, “hebdomadal alba,” or “white week,” which referred to the white clothing worn by those who had been instructed in Christianity and were about to be baptized. It was explained that when this was transliterated into the Germanic language, it became “eostarum” which translates meaning “dawn” or "sunrise". And as noted by the church, "...the Old High German plural for dawn, eostarun; whence has come the German 'Ostern', and our English Easter.” (The New Catholic Encyclopedia, 1967, Vol. 5, p. 6). Also, the name given to the first day of the week (Sunday) has pagan roots. There is the name of the Scandinavian sun goddess "Sunna" (or "Sunne", "Sonne"). It is also derived from "Sol," the Roman god of the sun." Their phrase "Dies Solis" means "day of the sun." To reflect possibly another poor choice of wording made by a church leader, Saint Jerome also even commented that: "If it is called the day of the sun by the pagans, we willingly accept this name, for on this day the Light of the world arose, on this day the Sun of Justice shone forth. ", which although completely true about "(Easter) Sunday", it is still NOT the best reason for adopting ANY pagan terminology or custom. Otherwise, you can be sure that any custom developed or derived in the Christian church's practices will have a polluted duplicate or opposite in the relam of Satan. Celebrating the resurrection of Jesus Christ (in the context known as "Easter") is of course no exception. Many of the symbols and practices of "Easter" have their roots in diverse ancient cultures, ranging from Syria and Greece to Scandinavia and Celtic Europe, all of which worshipped the sun and rejoiced when the spring season had returned after the long, dark days of winter. Modern "Easter" traditions are firmly grounded in pagan customs. 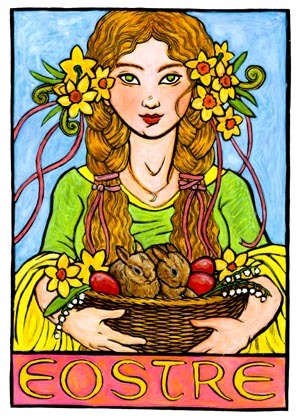 In fact, the name "Easter" has origins that can be traced to "Oestre" (or "Eostre"), an Anglo-Saxon goddess of spring and fertility from Northern Europe. We have her to thank for the Easter Bunny, as according to legend, her totem animal was the rabbit due to its prolific reproduction habits. Other similarities with pagan dieties had also been noted by the Christian scholar, Saint Bede the Venerable (672-735 C.E. ), who was one of the first to assert in his book De Ratione Temporum (1:5), that "Easter" was named after "Eostre" (a.k.a. "Eastre"). Similarly he accounts that the, "Teutonic dawn goddess of fertility was known variously as: Ostare, Ostara, Ostern, Eostra, Eostre, Eostur, Eastra, Eastur, Austron and Ausos." 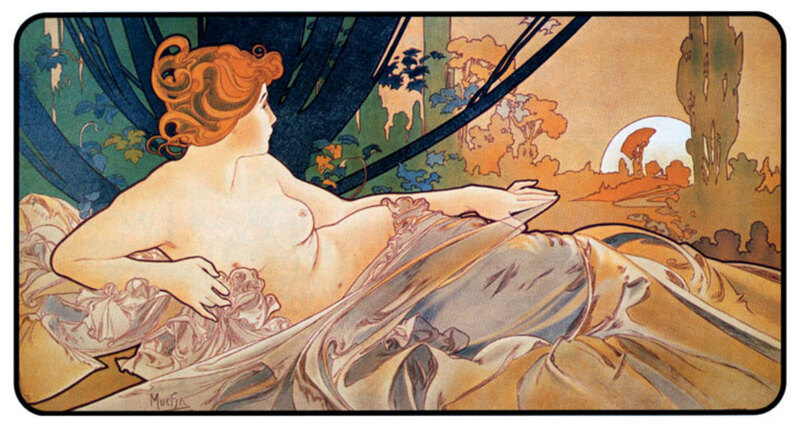 Her name therefore being derived from the ancient word for spring: "eastre." Even the tradition of getting new clothes for "Easter" dates back to pagan times. According to, A Treasury of American Superstitions, by Claudia De Lys, “it was considered discourteous and therefore bad luck to greet the Scandinavian goddess of Spring, or Eastre, in anything but fresh garb.” The Easter bonnet is another holdover from ancient ways, when a garland of flowers or vines was worn, “which expressed the round sun and its course in the heavens which brought the return of spring,” according to De Lys. Eggs are perhaps the most obvious symbol of fertility because of their association with life and rebirth. In pagan traditions they were brightly colored to resemble flowers and placed in baskets as gifts for potential suitors as a rite of spring and fertility. 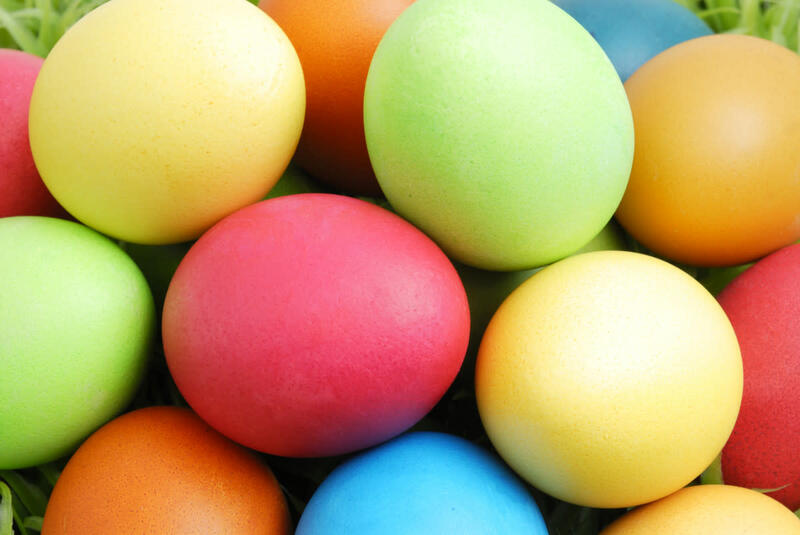 The pastel colors favored for Easter eggs today reflect back to this practice. 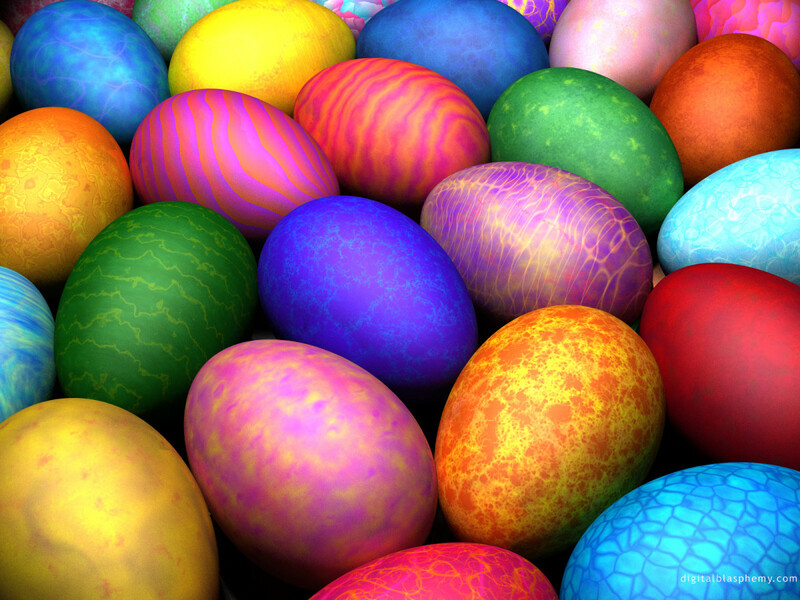 Although eggs may also be found as being symbolic in the Jewish Passover celebration for similar associations with life and rebirth, this does not reflect the pagan practice of coloring the eggs or using them as symbols of fertility. Feasting and fasting were also part of the pagan spring celebrations. An article, “Pagan Origins of Easter,” by Cameron Delaney, states that people would feast after, “a fast to purge toxins of heavy winter meals.” This practice echos some of the tradition for the Christian church's observance of Lent. Traditional foods also have ancient roots as well. According to, “Pagan Easter Food Traditions,” by Frannie Bogojevich, the cross on hot cross buns was originally representative of the moon’s quarters and was another symbol of fertility, and that people also ate up the last of the hams they had cured for the winter, since fresh food was soon to be had. Today's holiday feast also includes a focus on the "Easter ham", which of course pork is considered "unclean" by the Hebrew traditions and would definitely not have been used in their Passover celebration. We should also understand that professing Christians are not the only ones who have celebrated a festival called "Easter." "Ishtar" (which would be pronounced "Easter") was a day that commemorated the resurrection of a Summerian deity that they called "Tammuz", who was believed to be the only begotten son of the "dawn" goddess (Venus) and the sun-god. Along with Christmas and other religious celebrations, Easter traditions were among the first casualties in some areas of the Protestant Reformation being deemed "pagan" by early Reformation leaders. Many of these traditions however, eventually became less scrutinized and quickly worked their way back into church practice. 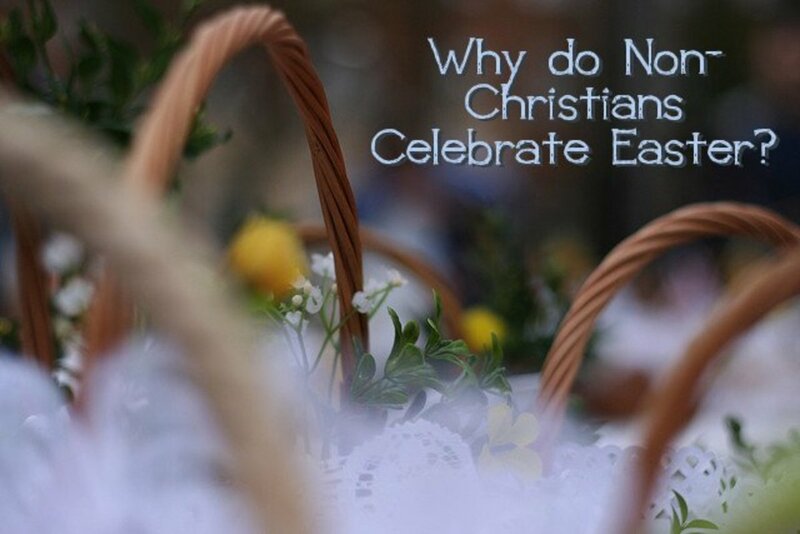 In the modern age, some Christians (typically fundamentalists) still continue to reject "Easter" celebrations (and often Christmas festivals), because of the belief that they are irrevocably tainted with paganistic practices and others forms of idolatry. Additionally, many Christians who do celebrate this occasion prefer to call it "Resurrection Sunday" or "Resurrection Day" due to the pagan and/or papist associations with the word "Easter". 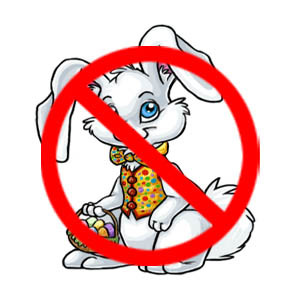 This is also done to distinguish this specific religious celebration from the more secular or commercial aspects of the holiday, such as the Easter Bunny with baskets of candy and colored eggs. The rejection of these traditions is based partly on the interpretation of the verse from the Epistle to the Corinthians listed above. It is basically warning against the practice of mixing righteous practices with pagan customs. Today, many of these customs have simply become embedded in secular celebrations which are then reinforced by festive commercial activities. This may make them seem fun and innocent, but the underlying spiritual erosion discretely continues unchecked and unnoticed with its damaging effects. Likewise, the Holy Scripture does not support our ignorance of these facts as being a valid excuse for continuing to observe or participate in these type of activities, no matter how innocent these misconceptions or customs may seem to be. “Therefore will I also deal in fury: mine eye shall not spare, neither will I have pity: and though they cry in mine ears with a loud voice, yet will I not hear them” (Ezekiel 8:18). In ancient biblical times, there is the story of the man named Nimrod (Genesis 10:8-10), who was the grandson of Ham, one of Noah's sons. Ham then had a son named Cush who married a woman named Semiramis. Cush and Semiramis then had a son named him Nimrod. According to legend, after the death of his father, Nimrod married his own mother and became the powerful god-King of Shinar, which included the "Tower of Babel" (Babylon). His wife and mother Semiramis, also became a powerful queen of ancient Babylon. Nimrod was eventually killed by an enemy, and his body was cut in pieces and sent to various parts of his kingdom. Semiramis had all of the parts gathered, except for one part that could not be found. That missing part was his reproductive organ. Semiramis claimed that Nimrod could not come back to life without it and told the people of Babylon that Nimrod had ascended to the sun and was now to be called "Baal", the sun god. Semiramis created a mystery religion, and with the help of the devil, she set herself up as a goddess. Semiramis then claimed that she had been immaculately conceived by the the moon goddess and took the name of "Ishtar" (which is pronounced like "Easter"), acting as the fertility goddess. She taught that the moon goddess went through a 28 day cycle and ovulated when it shown full. Semiramis further claimed that she came down from the moon in a giant egg that fell into the Euphrates River. This was to have happened at the time of the first full moon after the spring equinox and the moon egg then became known as "Ishtar's egg" in the legend. Later in the story, Ishtar (a.k.a. Venus-goddess of the dawn) soon became pregnant and claimed that it was the rays of the sun-god Baal that caused her to also immaculately conceive. The son that she brought forth was named Tammuz (the false messiah of Babylon). 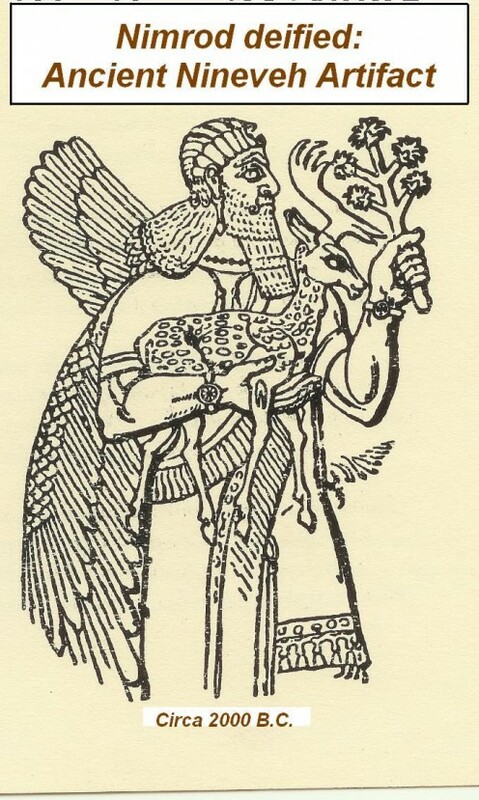 Tammuz was noted to be especially fond of rabbits, where they became sacred animals in the ancient Summerian (Assyria) and Babylonian religions. Tammuz (like his supposed father Baal-Nimrod), also became a seasoned hunter. One day came however, when Tammuz was killed by a wild pig. The goddess-queen Ishtar then decreed to her people that Tammuz had now ascended to his father, Baal, and that the two of them would be with the worshippers in the "sacred candle" or lamp flame, represented as Father, Son and Spirit. Ishtar, who was now worshipped as the "Mother of God and Queen of Heaven", continued to build her mystery religion. She told her worshippers that when Tammuz was killed by the wild pig, some of his blood fell on the stump of an evergreen tree, and the stump grew into a full new tree overnight (emulating resurrection). This made the evergreen tree sacred by the blood of Tammuz and was used in ritual practices (also an origin of the pagan "Christmas tree" observance - Jeremiah 10:3-4). Ishtar proclaimed a forty day period as a time of sorrow each year, prior to the anniversary for the death of Tammuz. During this time, no meat was to be eaten (fasting or "lent"). Worshippers were to meditate upon the sacred mysteries of Baal and Tammuz, and to make the sign of the "+" (a "cross") in front of their hearts as they worshipped. They also ate sacred cakes with the marking of a "+" or cross on the top (i.e. : "hot cross buns"). 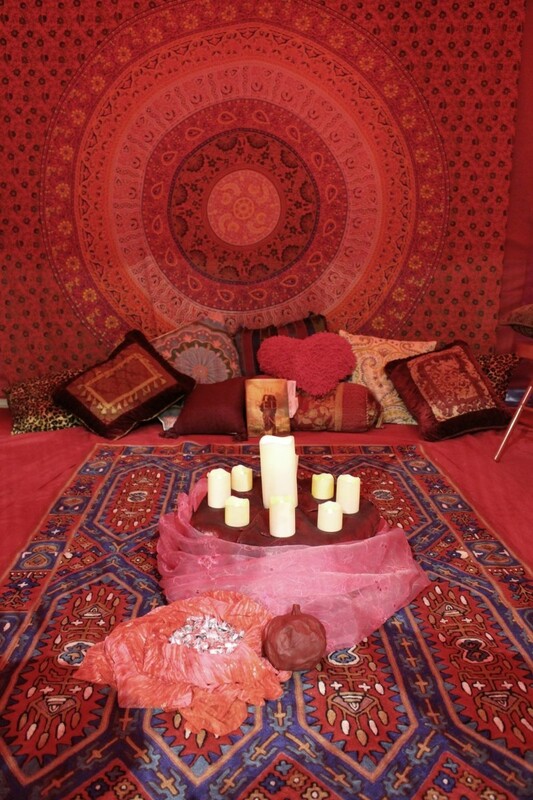 Every year, on the first Sunday after the first full moon of the spring equinox, a celebration was made to honor this time. This became Ishtar's Sunday and was celebrated with reverence to rabbits and eggs. Ishtar also proclaimed that because Tammuz was killed by a pig, that a pig should also be eaten on that Sunday as a memoriam (the "Easter Ham"). "And there, north of the altar gate, was this image of jealousy in the entrance." "...every sort of creeping thing, abominable beasts, and all the idols of the house of Israel, portrayed all around on the walls. "...have you seen what the elders of the house of Israel do in the dark, every man in the room of his idols?" "...and to my dismay, women were sitting there weeping for Tammuz." "...with their backs toward the temple of the LORD and their faces toward the east, and they were worshiping the sun toward the east." The original Apostles and first converts (Jewish Christians) of the early New Testament Church did not observe "Easter". As noted in the World Almanac: “In the second century A.D., Easter Day was, among Christians in Asia Minor [these would be the Gentile churches that Paul raised up in places such as Philippi, Colossae, Galatia, etc. - and he warned the Galatians (4:9-10) about taking days such as Easter] the 14th of Nisan [or Abib] the seventh month of the [civil] Jewish calendar” (World Almanac, 1968, p.187). The date described in this reference is not "Easter" but rather the date of the Passover Feast, which was kept on the 14th day of the first month (Nisan) in the sacred Hebrew calendar. Clearly the first twelve Apostles and the original seventy disciples, as well as the early leadership of the Church of the New Covenant did not practice the current "Easter" tradition as it is observed today. With what we have shown throughout this article, it should now be easy to make the connection with how these various pagan practices had infiltrated early Christianity. When the ancient Greeks and later the Romans expanded their vast world empires, their habit was to assimilate the customs and traditions of the people they absorbed, incorporating them into their own culture. These ancient practices then easily migrated into the Roman pantheon of pagan religious beliefs, which of course were later a great influence on early Romanized Christian church traditions as the transition was made from pagan worship to monotheism. As proper Christians, the issue is not necessarily with the word "Easter" itself. 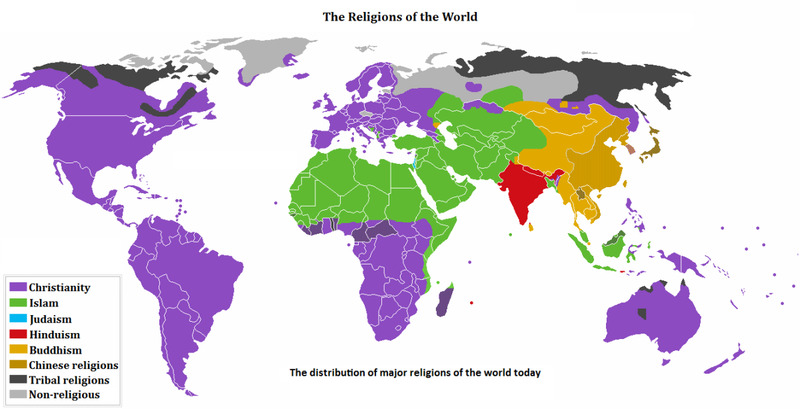 The real issue is with the secular world (and/or pagan) customs that heavily influence the church. It is a matter of how one's own application of these practices and customs relate to the glorious day commemorating the resurrection of Jesus the Messiah. Do you observe or allow (and thus validate) these pagan influences? OR are you Biblically correct concerning this day, in custom and practice as an honored celebration of our Lord God? Observing Christ's day of resurrection is obviously a worthy and righteous activity as it serves to honor and glorify the Lord. Regardless of the origins for the name "Easter", or the source of the traditions, the Christian holiday remains a celebration of renewed life and is the promise of a future full of wonderously good things with Christ's coming Kingdom. Let's relfect on these aspects and return to a more holy and sanctified observance of this occasion. 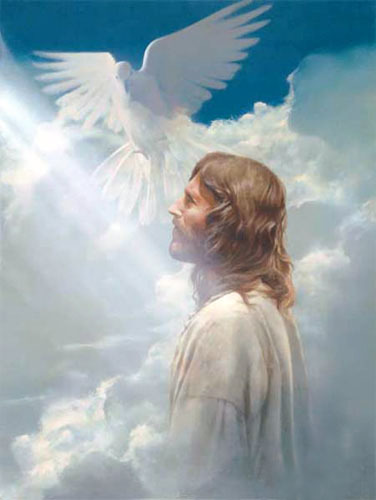 In these days nearing the end of the "Church Age", we need every advantage possible in combating the Lord's adversary and promoting a renewed revival of the Holy Spirit into the "Body of Christ" -AMEN. Enjoy a blessed and peaceful time in joyful celebration of CHRIST'S DAY of RESURRECTION! The birth of the historical Jesus, is sacredly held by the Christian faith as the momentous occasion that "changed the world". Biblical scholars however, have long suggested that December the 25th is NOT the actual date for the birthday of Christ! Here on the HubPages® of The Faith Network, we are laying down the framework for an extended internet-based Ministry and outreach. More content will be added on a regular basis... We invite you to check back often and see what is new. Hello my good brother Matt - Well put and thank you for your reflections and reminder about the verse in Ezekiel. I've also updated that/added into the segment about Assyria-Babylon. Found some more good historical info and references - so have updated with those facts accordingly. Hello Tamara and glad you have enjoyed reading about the historical information rooted in the various ancient mythologies. You've made another great point about our beginnings in the garden and how the lies of the devil have perpetuated themselves throughout history to undermine the Lord's plans for us all. Excellent educational article on the history of the pagan roots of cultural Christian practice. The fascinating part to me is its roots stemming back to ancient Babylon and the tower of Babel and its false messiah Tammuz. Some people seem unconcerned and don't see the harm in these fantasy like religious practices but I don't think they understand at times the gruesome practices that went along with these ancient false religions such as human sacrifice and temple prostitution both male and female. It is these events that give the greatest repulsion to me our cultural observances of these holidays such as the eggs and the bunny stuff. False religion most often digresses to depravity in general. It isn't just fun and it goes along with the idea that we can mix both worlds. It was the very first lie in the garden that they could live in the goodness of God and sin simultaneously and expect success.